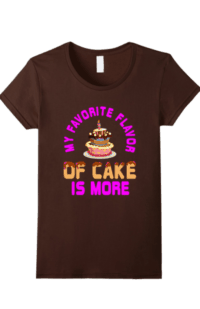 Favorite Flavor of Cake is More. 5 Colors. $16.99 Click pic to order! 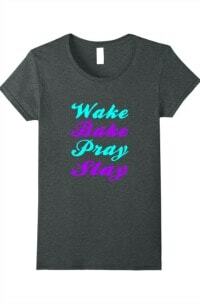 Wake Bake Pray Slay. 5 colors. $16.99 Click pic to order! 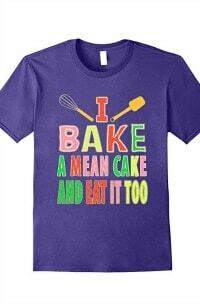 I Bake a Mean Cake and Eat It Too. 5 Colors. $16.99 Click pic to order! 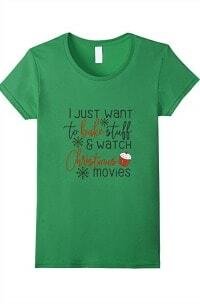 Bake Stuff and Watch Christmas Movies Tee. 5 colors. $16.99 – ON SALE $13.29! Click pic to buy! 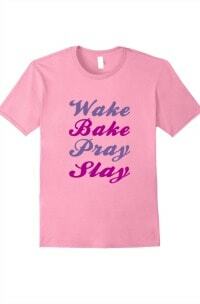 Wake Bake Pray Slay. $16.99 5 colors. 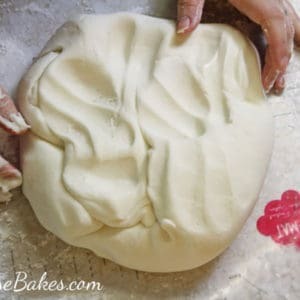 Click pic to order!